Who was Amos Tversky and why is he significant? 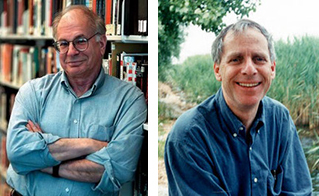 Daniel Kahneman and Amos Tversky (above) are the focal point of Michael Lewis’s latest book, The Undoing Project: A Friendship That Changed Our Minds, published by W.W. Norton & Company (December 2016). Here are a few brief excerpts from the Lewis book. Here is a brief excerpt from Tversky’s obituary in The New York Times. Amos Tversky died on Sunday [June 2, 1996] at his home in Stanford, Calif. He was 59. The cause was metastatic melanoma, said Stanford University, where he was the Davis-Brack Professor of Behavioral Sciences. “Dr. Tversky (pronounced TUH-VER-skee) once said he merely examined in a scientific way things about behavior that were already known to “advertisers and used-car salesmen,” and much of his work has indeed had an economic slant, shaping the way economists look at decision-making by consumers and business executives. It also influenced statisticians and other researchers interested in how decisions involving risk are made in fields like medicine or public policy. To learn more about Amos Tversky and his work, please click here. I highly recommend The Undoing Project as well as Kahneman’s Thinking, Fast and Slow, published by Farrar, Straus and Giroux; October 25, 2011).